We welcome our newest driver, Nancy, for local deliveries (within metro areas of SW Florida). 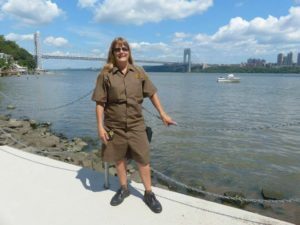 She has an outstanding driving and customer service record after working for UPS over three decades. We discovered Nancy while she temporarily worked for UPS during the holiday rush and she was loading many boxes of Watt-Ahh into a special-run truck that UPS rented for the seasonal package overflows. Steve B. will continue to be the co-pilot. Stevers, our other driver for many years, said he will pitch in when needed but he will be working on other projects in his metal machine shop. We appreciate the multiple years of service by both “Steves” in delivering to our local customers’ doorsteps. As for Nancy, working for AquaNew, she continues her family’s long-standing beverage legacy. She told us that her great grandfather (John D.) near the turn of the previous century (between late 1880’s and early 1900’s), worked for a brewery in New York City (located 10th Ave. between 39th and 40th). 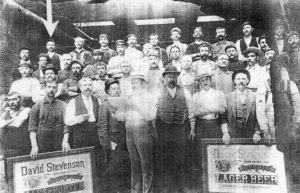 That is her great grandfather in the top row to the left shown in the photo below. The photo of Nancy above is her “retirement” photo from working full-time for UPS. Say hi! 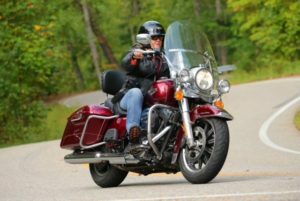 to Nancy if you see her either on the Watt-Ahh delivery rounds or on her favorite Harley-Davidson motorcycle. She also volunteers for the Baltimore Orioles during spring training. Previous post: Do You Earth?